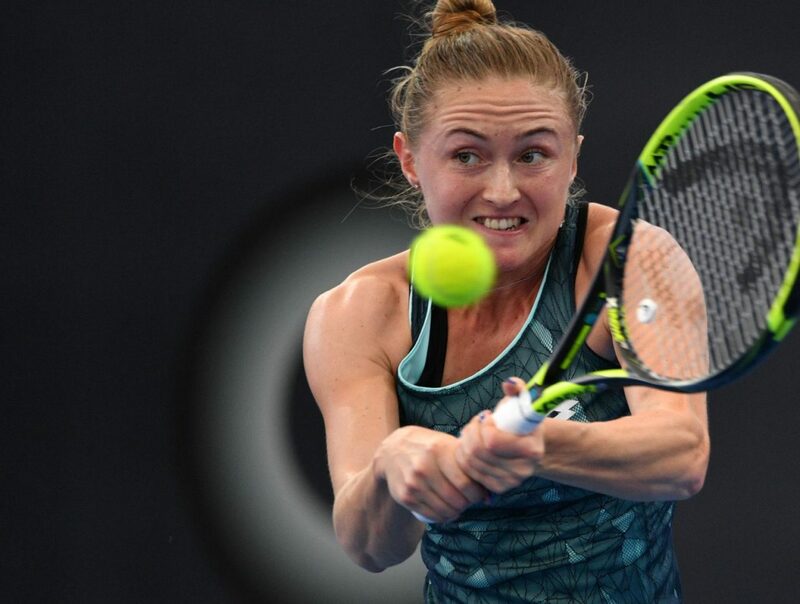 Sasnovich has defeated Flipkens twice, 2016 Indian Wells and 2017 Budapest. The 23-year-old may not have won a lot of clay matches in the last two years, but neither has the veteran Flipkens. It will not be a smooth sail for Sasnovich, but she is expected to prevail in the end. Aliaksandra Sasnovich needed just an hour and 10 minutes to sail through to the second round after defeating Richel Hogenkamp in straight sets, 7-6 6-0. The entirety of the match was played indoors on Wednesday. Sasnovich started the year with her second WTA final (first Premier one) at Brisbane. Her seven-match winning run from the qualifyings, which includes wins over #11 Mladenovic, #16 Sevastova, #34 Kontaveit and #38 Cornet, was ended by Svitolina. The Belarusian has not won a lot of clay matches in the last two years. In 2016, she went 4/9 while playing mostly ITFs. In 2017, she played five tour-level clay tournaments, losing the opening round matches in three of them. Kirsten Flipkens upset #57 Witthoeft in three sets (lost the first one, 6-1) to win her fifth first-round match of the season. She could not back up her previous four R1 wins with a win in the second round. Like Sasnovich, Flipkens’ match was also played indoors. Flipkens, once a top 15 player, is currently ranked at #74. She has reached two quarterfinals in entire 2017 season, at Acapulco and New Haven (def. #30 Tsurenko and #33 Rybarikova). The Belgian #3 has just one WTA clay quarterfinal to her name. That last eight appearance came seven years ago at Morocco (l. to 7th seed Simona Halep).